This lightweight 6.7kg all round rollator is ideal for someone with limited mobility and whose potentially a falls risk. 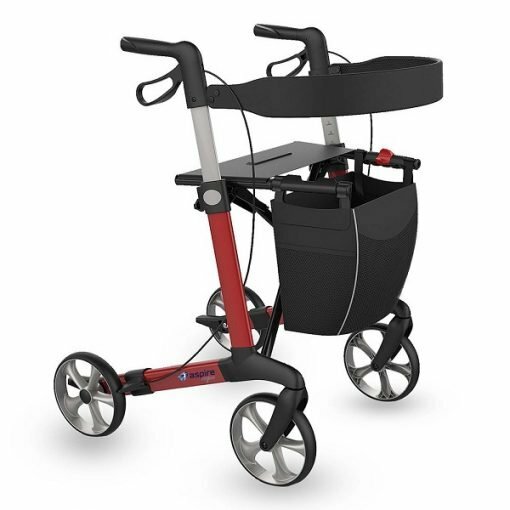 The side folding design is a key feature that makes the walker easier to manage when lifting in and out of car. This Aspire vogue walker has 23.3cm (8″) wheels which can assist in going over uneven surfaces with ease, folds easily for transport. 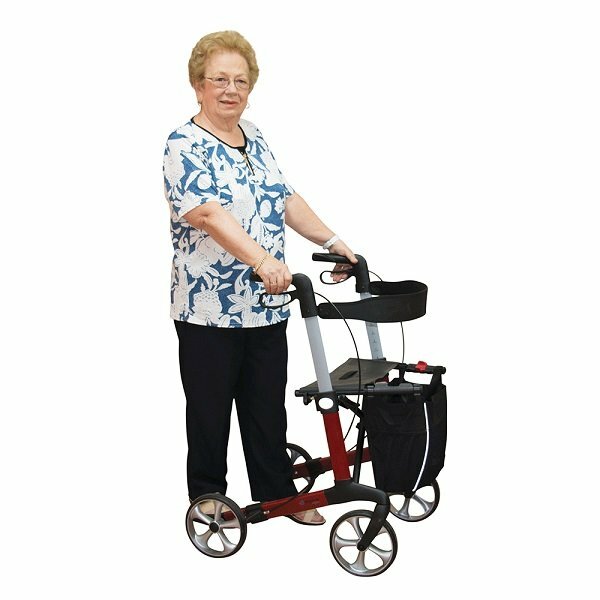 Comes with fully waterproof vinyl bag which is attached to the frame.